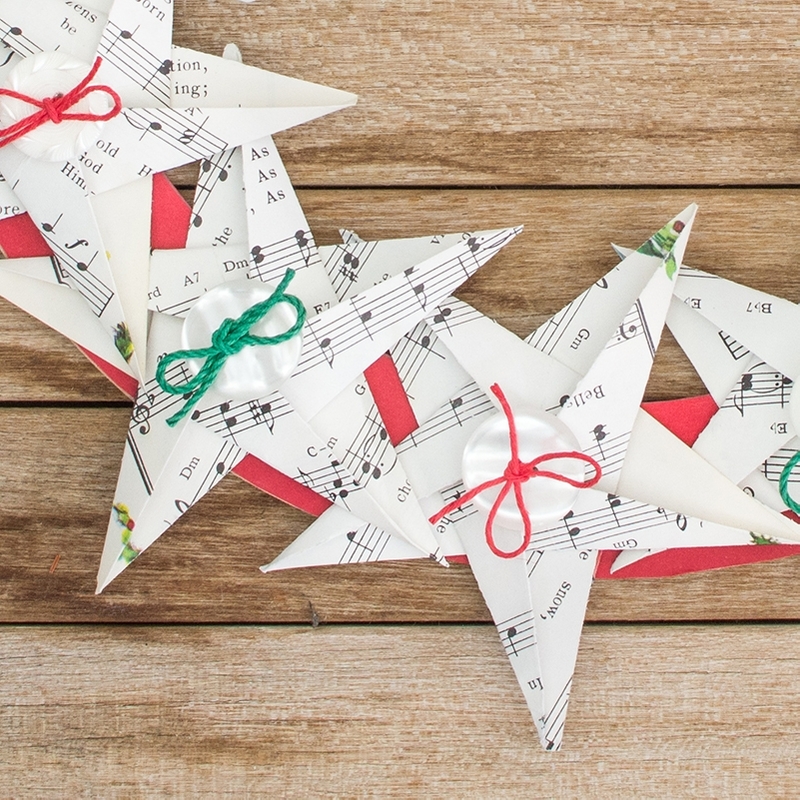 A lucky find of a scruffy old children’s song book in a Thrift Store led to the creation of this five pointed origami star wreath. 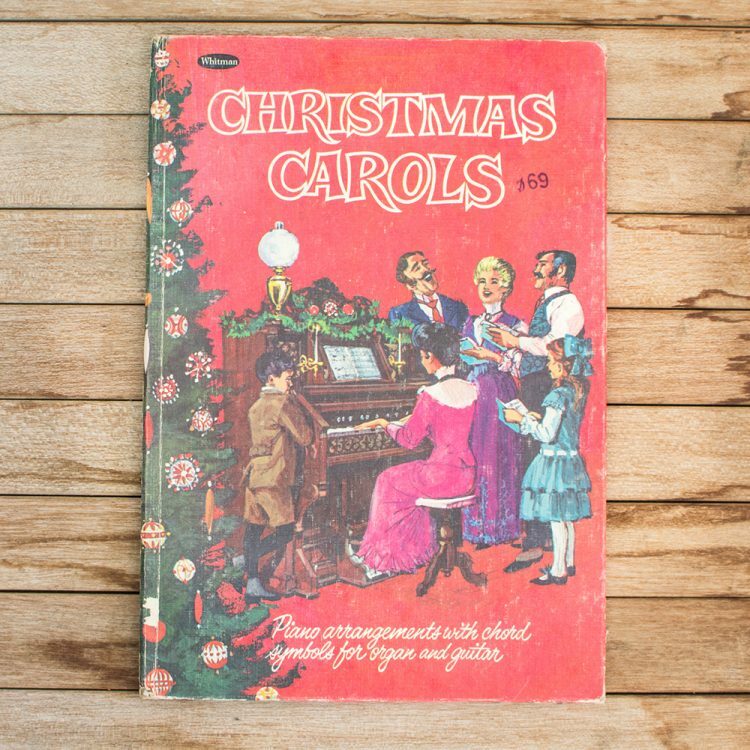 The book contained the words and music to popular Christmas carols, which were ideal for turning into the origami stars. 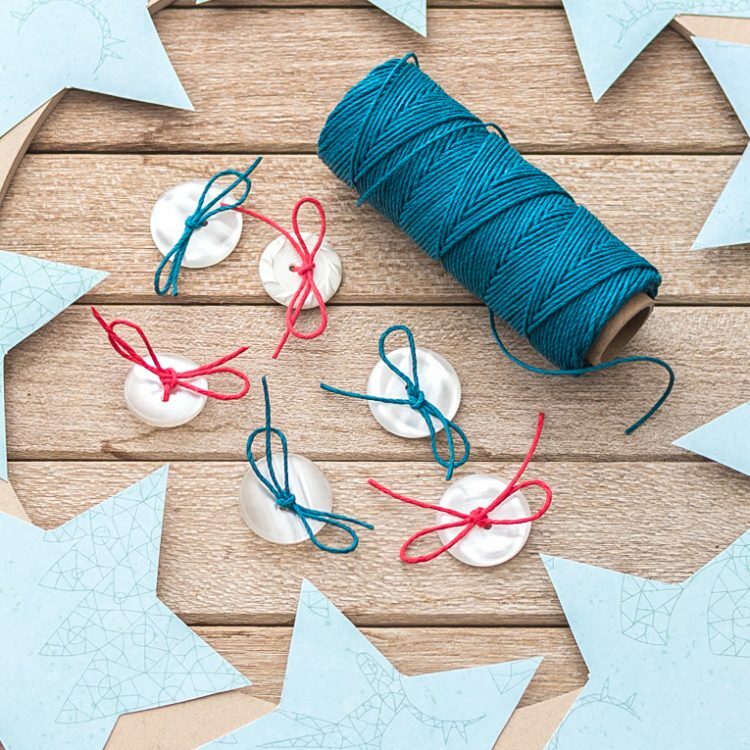 There are many sites on the Internet explaining how to make a five pointed origami star, but beware, once you get the hang of making them it can become addictive! The base of the wreath is a MDF flower ring, covered with a circle of red card. The stars were embellished with white buttons and threaded with green or red hemp twine* and fixed to the ring with double sided tape. Red hemp twine is used for the hanging cord. 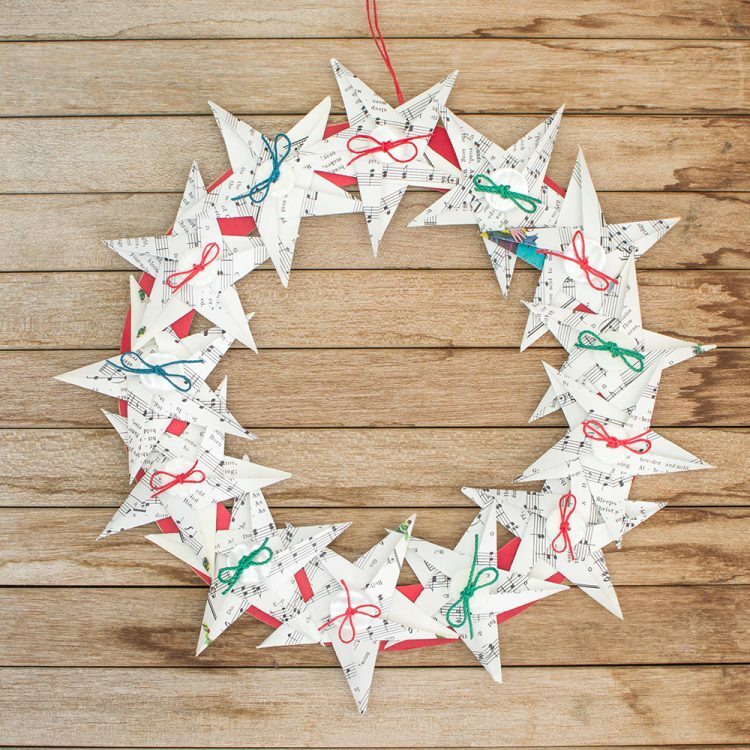 See our other Christmas Star Wreath for further ideas. *Twines are available in many colors from Hemp Beadery. The wreath was based on a MDF flower ring, but one could be easily cut from strong cardboard. 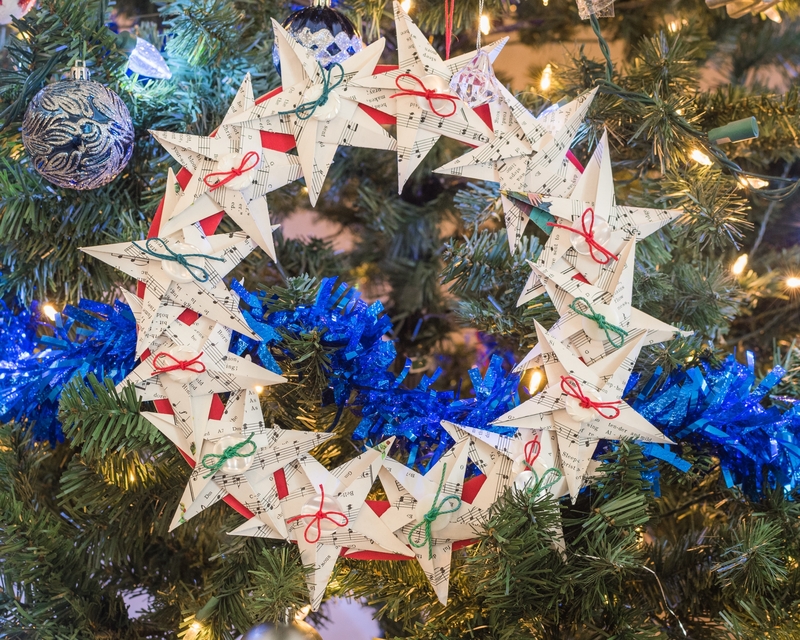 The base was covered with star shapes cut from a pad of heavy weight scrapbooking papers, and nine were made into 3D stars in co-ordinating colours. 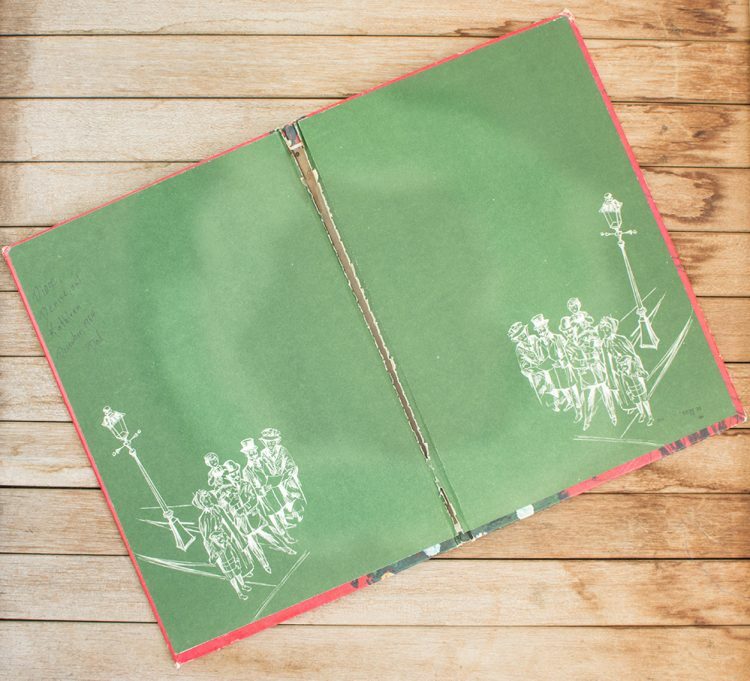 The buttons were purchased from a Thrift Store and threaded with red or aqua hemp cord*. 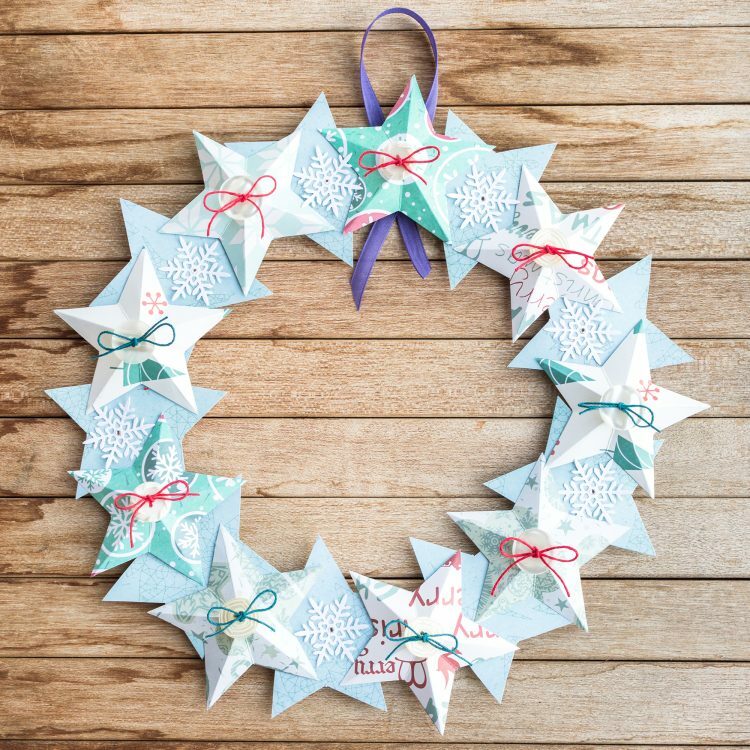 Die cut snow flakes filled in some of the larger spaces and were embellished with a tiny silver gem. 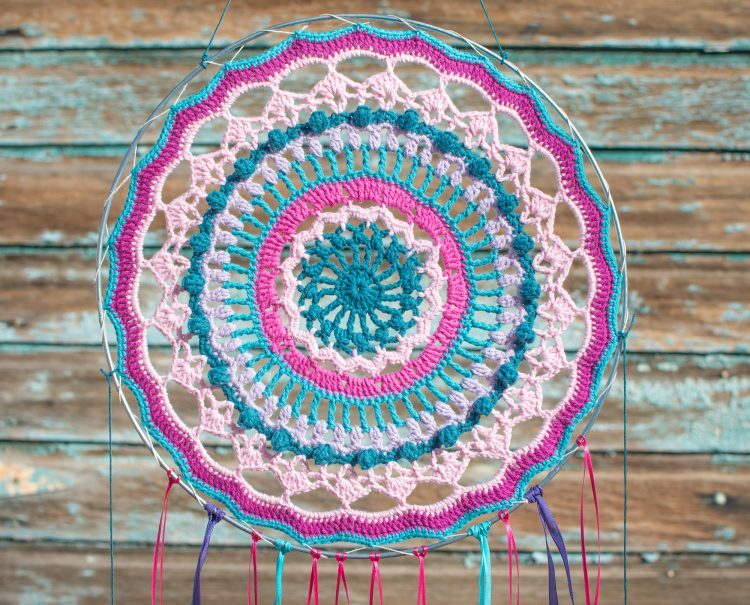 The purple ribbon for hanging the wreath was left over from the Crocheted Dreamcatcher. The base stars were fixed in place with double sided tape. 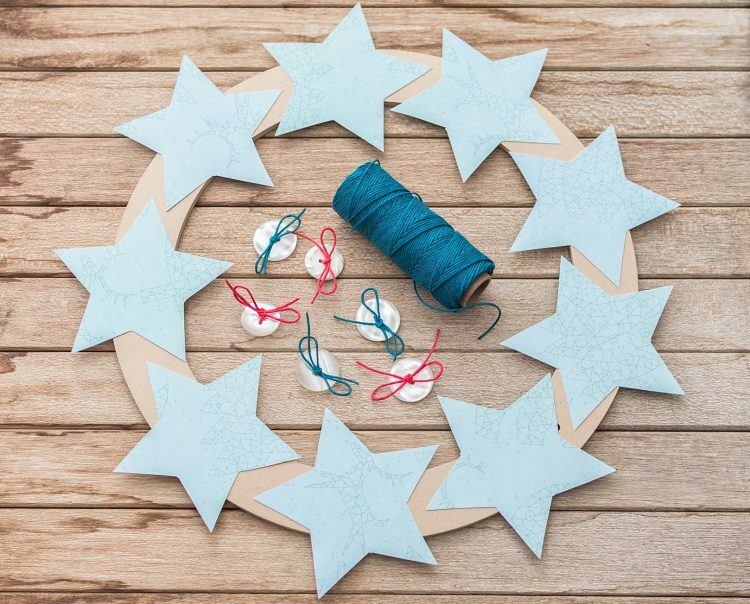 It would have been quicker to use a hot glue gun to attach the 3D stars and buttons, but for those of us who cannot use a hot glue gun without burning several fingers each time, sticky pads were cut to size and used instead! *Red and aqua hemp cord available from Hempbeadery. A 10 inch metal ring was covered with macrame square knots in rainbow hemp twine. 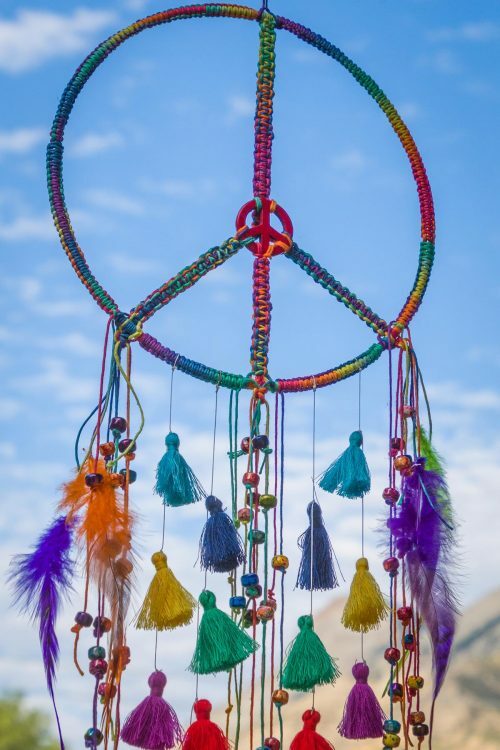 A howlite stone peace symbol bead was used to anchor the four straight inner parts of the sign, which were made with macrame square knots again and secured to the outer metal ring. 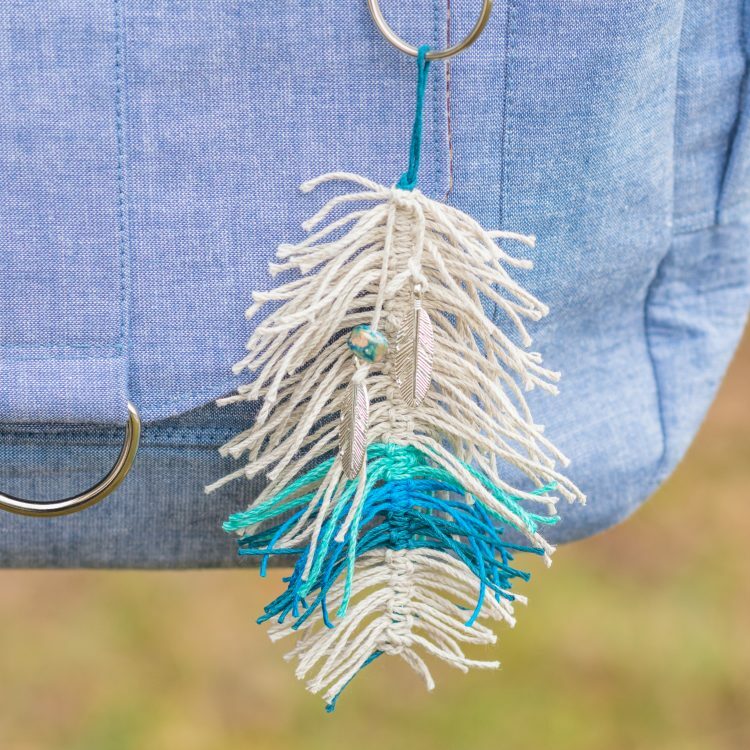 Glass crow beads, cotton tassels and feathers were threaded and tied to lengths of rainbow twine dangling from the bottom of the ring. The feathers were left over from another craft project. *Twine, beads and tassels are all available from HempBeadery. 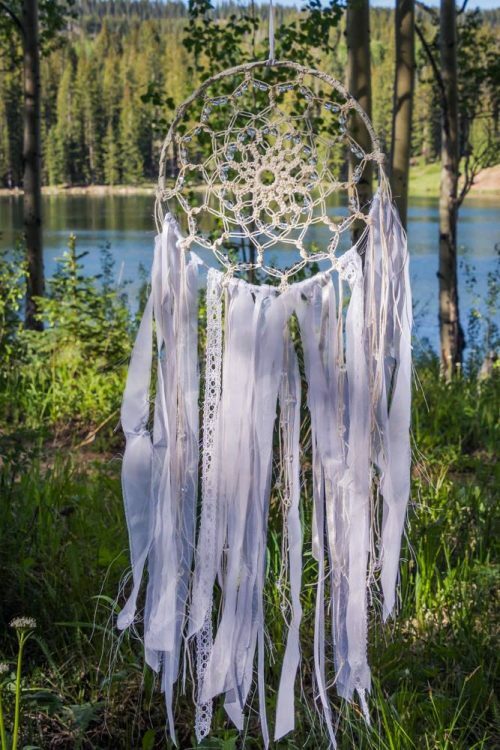 The dream catcher was made using a 10 inch metal ring, 1mm natural hemp cord and crystal beads. The ring was covered approximately two thirds of the way round with the hemp. Just two macrame knots – square and spiral knots – are used, so even a beginner could attempt such a design. All cords were attached to a small central plastic ring and the design worked outwards from that. 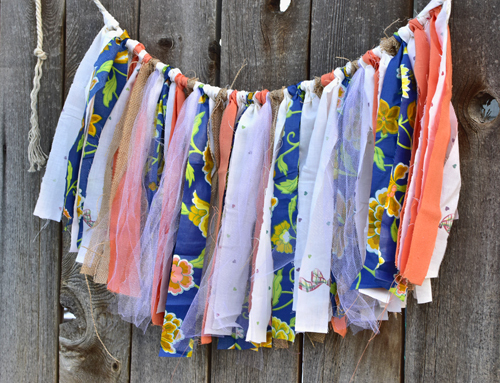 The streamers are long lengths of twine, white ribbons and broad lace, and strips of white floaty voile cut from a window curtain found in a thrift store. The crystal beads really catch the sunlight and sparkle on sunny days. 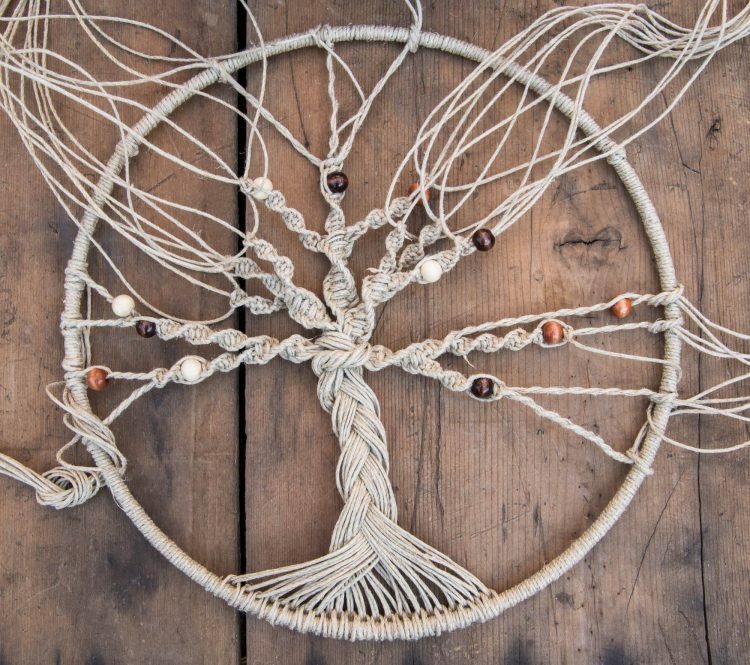 This macrame tree of life was created with 2mm natural hemp twine, a 10 inch metal ring and light and dark shades of brown wood beads. The metal ring was completely wrapped with twine before starting on the tree itself. There are many ways of making a Tree of Life, but this one was created from the the roots upwards. Lengths of hemp were attached and then plaited together to form the tree’s trunk before dividing for the branches. The thicker branches were made using the macrame spiral knot and thinner branches were made by just twisting two strands together. Beads were randomly threaded onto the branches. To finish, the twine branches were stretched tightly and secured to the metal ring before being glued in place with super glue. There was no particular pattern in mind when starting the tree, it just developed as it progressed. Hemp rope banners are very simple to make and can be made in any color combination or to celebrate any season. All that is required is a length of hemp rope, scraps of material, ribbons, tuille, lace, hessian, etc. We do recommend using a decent pair of cutting scissors though, because it can take some time to cut out sufficient strips of material. Our length of hemp rope measures 3 feet long, and the strips of material are roughly 12 inches long and 2 inches wide. We used material found in a second hand shop, interspersed with lengths of white tuille and hessian ribbon. Don’t worry about cutting the strips of material neatly, jagged and frayed edges and ends merely add to the ‘country’ feel. Attach each strip of material to the hemp rope with a lark’s head knot. We advise starting in the middle of the rope and working outwards along each side until the banner is the width you require it to be. Tie an overhand knot at each end of the rope and hang the banner in your chosen position. Easy peasy! 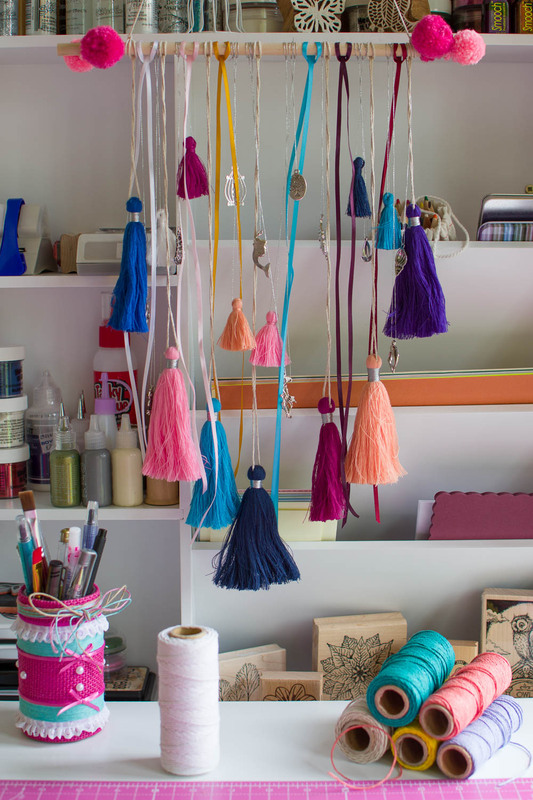 We adore the richness of the colors of all of our different sizes of tassels, but we decided to use just a few of the vibrant blues and purple shades in this project, with some peach and white for highlights. 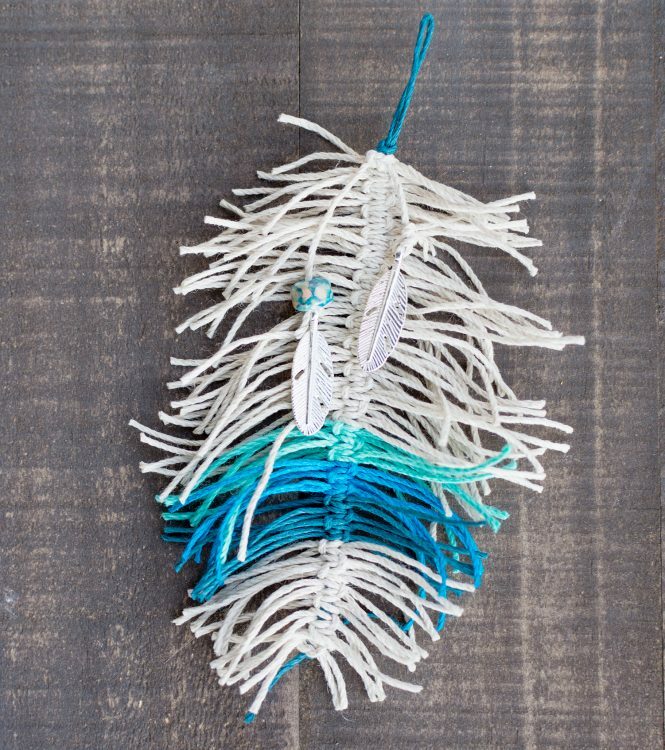 Thread natural hemp twine through the large tassels with a wool needle, tying the ends with a reef knot and then pulling the knot through the tassel top so that the knot is hidden. 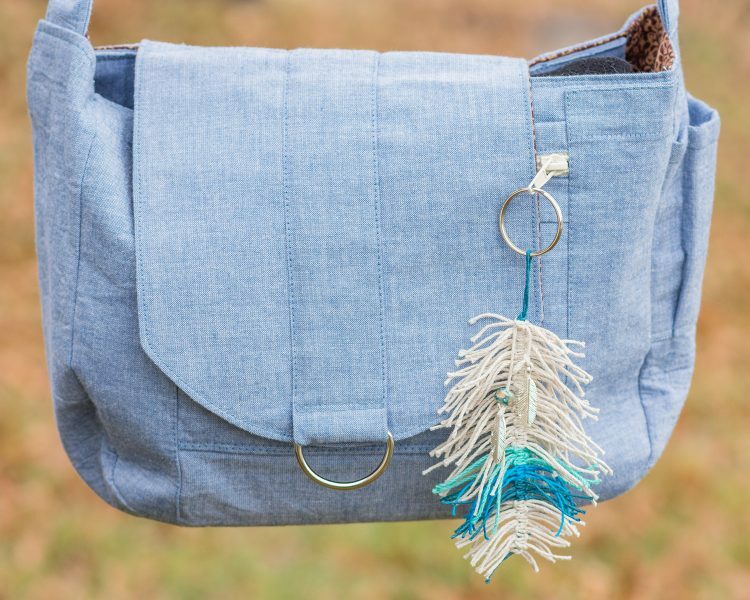 Attach the hemp and tassel to the rod with a lark’s head knot and tighten. Repeat this exercise with both large and small tassels. 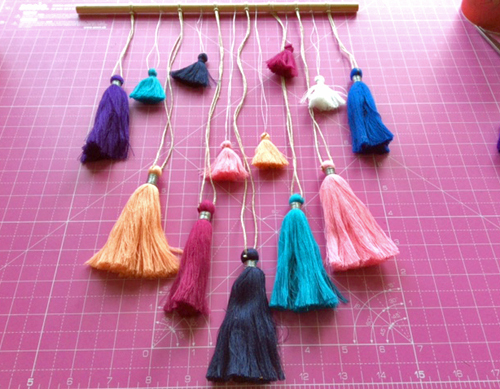 Choose ribbons that match or co-ordinate with the tassel colors, attach to the rod with a lark’s head knot again. Pull the ribbon to tighten the knot, a process which may have to be repeated more than once as the ribbons easily become loose. Choose a selection of your favourite charms and attach with silver thread. 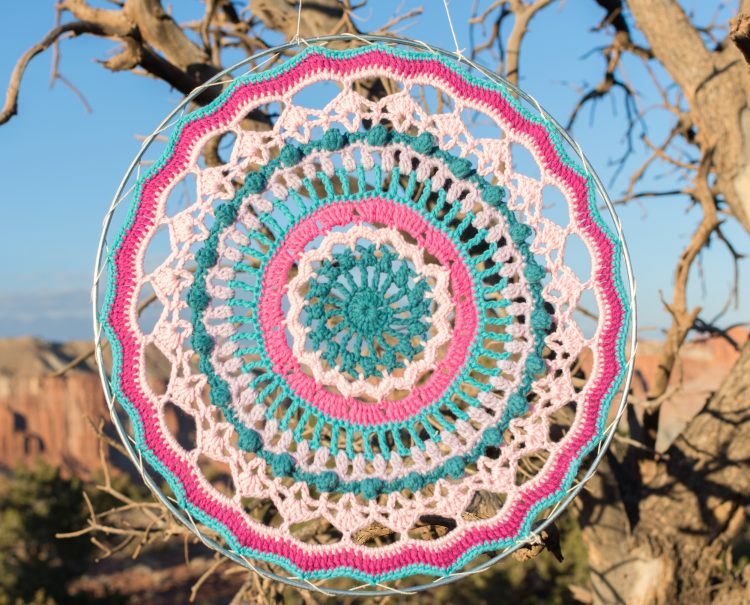 This wall hanging includes charms representing nature and the outdoors. 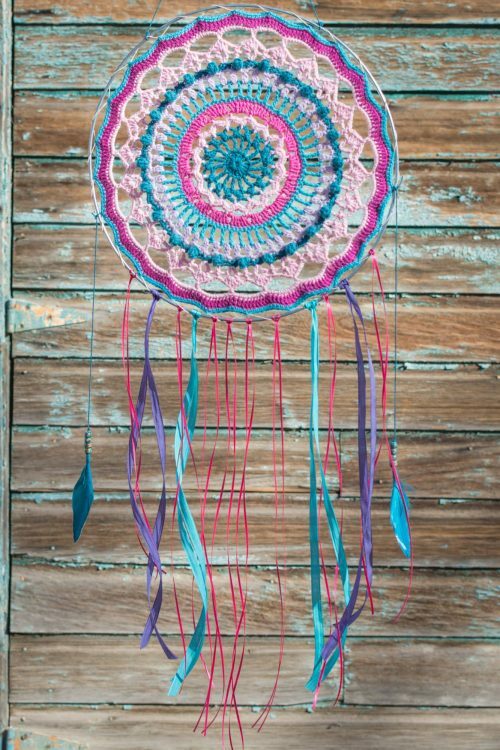 To finish, tie a length of natural hemp twine to the ends for hanging and attach two pink pompoms to each end. 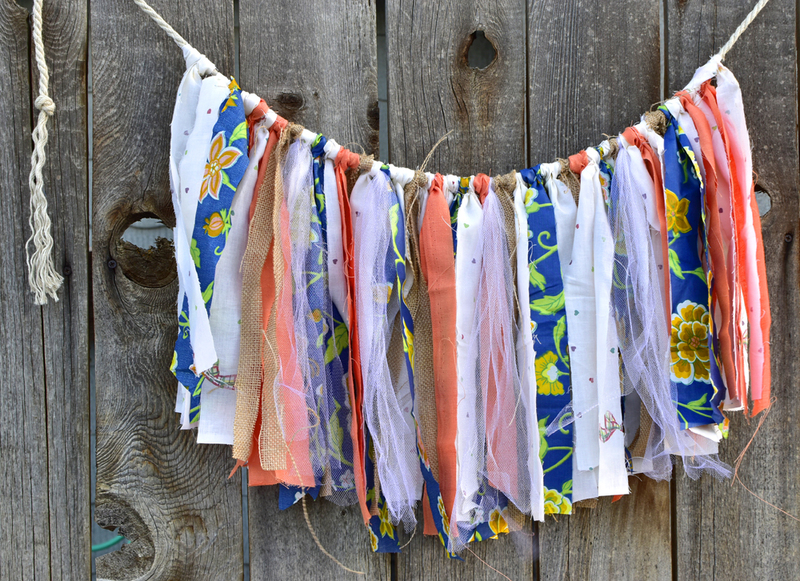 Hang your wall hanging in any room in your home, but it will also look lovely hanging out of doors on a warm summer evening with a gentle breeze blowing through the ribbons and tassels. *All starred items are available to purchase from Hempbeadery’s large range.